Headed on tour this month too. While Dom Kennedy already gave us Addicted To The Underground earlier this year, he comes right back with Volume Two. Dom has been hinting at Volume Two for over a year now and just last week he released “Brenda’s Baby” as the new single. Now out of the blue we have the 14-track project to enjoy with guest appearances from Ray Wright, Mykestro, Glasses Malone, Jay 305 and Krondon. Listen below or on any other streaming platform. 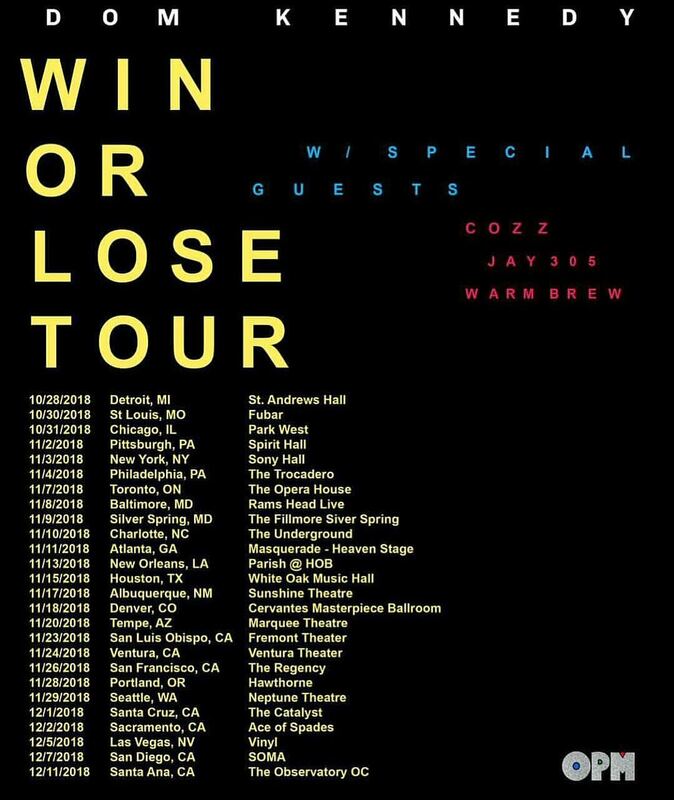 With the album being out now, Dom and a few others (Cozz, Jay 305 and Warm Brew) will be hitting the road for his Win Or Lose Tour. The tour kicks off at the end of the month in Detroit, MI and will continue until 12/11 ending in Santa Ana, CA.